Sleeping on your back is one of several sleeping positions that are preferred by some sleepers, and the best sleeping position according to experts. 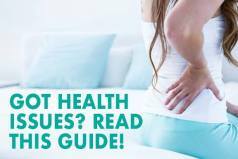 It is considered healthy because it provides the right placement and alignment for your head, neck, and back. If you’re a back sleeper, choosing the right type of quality mattress is important to ensure a good night’s rest. 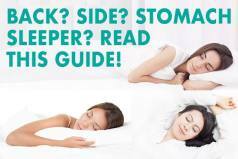 What’s good for back sleepers however is not necessarily the best for side or stomach sleepers and vice versa. That’s why, before visiting a mattress store, you need to know what to look for. Around just eight percent of individuals lie on their backs to sleep. Back sleeping is one of the best and most neutral sleeping positions because it conforms to your back. Reduces and Prevents Back Pain or Lumbar Pain – When you sleep on your back, you are lying down straight and your body is free from any contortions or misalignment. It reduces and also prevents back or lumbar pain because it does not put much stress on the neck and spine regions. Prevents Acid Reflux – Propping your head with a pillow while you sleep on your back helps prevent acid reflux and regurgitation. It deters acid or food from shooting up the esophagus. Aesthetically or Cosmetically Enhancing – Sleeping on your back is also aesthetically or cosmetically enhancing because it reduces or prevents the formation of premature wrinkles due to too much contact with the pillows or being squashed in between the sheets. Snoring – The tongue can block the airways and this can also aggravate snoring. What Type Of Mattress Is Best For Back Sleepers? The best choice for people who sleep on their back is a model that is firm enough to support the natural alignment of your spinal cord. With that being said, models designed for back sleepers should provide medium-firm support and should not be too soft or bouncy which will make you sink right down, embedding you in between the covers. It should not have that feeling of being “stuck” and should hold your body in a neutral and solid position. It is vital to choose a model that provides just the right combination of contour, firmness, and support to a person’s back when sleeping. Additionally, light sleepers should opt for a soft option and heavy sleepers must choose a firmer type. 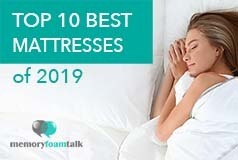 Latex and memory foam options are the best bets for back sleepers. They provide just the right support for your back or the natural curve of your spine, conforming to the shape and movement of your body, providing pressure relief in your joints and other pressure points. Both of these types are gentle enough to provide comfortable sleep. They also ensure medium firm support for your back. They also have long lifespans which delay sagging which is not recommended for back sleepers. Tips! – Do not use too many or too thick pillows on your head because this can cause breathing difficulties. Ideally, sleeping on your back with no pillows is the best but is not the most comfortable setup. The Nolah is unique in that it delivers the benefits of memory foam without the use of foam. Nolah created their own proprietary foam, Nolah Air Foam, which sleeps cooler than memory foam and is more durable than latex. It comes in a universal comfort model which we rate as a 6-7 on the firmness scale (10 being firmest), and it provides good support as well as great comfort for all sleeping styles, even if you have a habit of tossing and turning, and especially for back sleepers as it has the firmness needed for sleeping comfortably on your back as well as the softness if you switch to your side. The Nolah is an excellent product and one of our favorites due to it having the comfort and feel of memory foam without the heat and sinkage traditional memory foam often has. The Zenhaven is versatile and can accommodate practically all sleeping styles and positions like for back sleepers and side sleepers too. The Luxury Plush side is more of a 5-6 out of 10, with 10 being the firmest. The setting is perfect for side sleepers as it supports your hips and shoulders really well. The Gentle Firm side is around a 7-8 out of 10, with 10 being the firmest. This setting is ideal for those who sleep on their backs and stomachs. It is made of 100% natural Talalay latex which is breathable, hypoallergenic, germ-resistant and has a cooling effect. Due to the nature of latex, sleepers will feel like they’re sleeping on top of the mattress, instead of sleeping in it like they would with memory foam models. The Zenhaven has a 5-zone comfort system which provides that combo of support and contour according to your desired density level that is especially suitable for back sleepers. The premium all foam Nectar Sleep is awesome because the design provides a comfortable yet supportive sleeping surface, which is ideal for all sleeping positions and body types. The Nectar is of medium firmness, with a comfortable pillow top layer which provides it with the firmer support back sleepers need, combined with a nice top comfort layer. The company has an industry leading 365 sleep trial and “forever warranty”, with a price that can’t be beat and is very popular these days as an alternative to much more costly store brands.